Just in time for holiday, Le Métier de Beauté's Starry Night Eye Kaleidoscope embodies Vincent Van Gough's famous painting, The Starry Night. Influenced by the warming, rich blues and subtle flecks of nudes, this palette allows for infinite looks through blending, and layering. The precisely curated hues are the most flattering and beautiful of their kind. Starry Night houses four eyeshadows to create a prism of color for the eye in an easy to carrydesign, which includes a mirror on the top for on-the-go touch-ups. 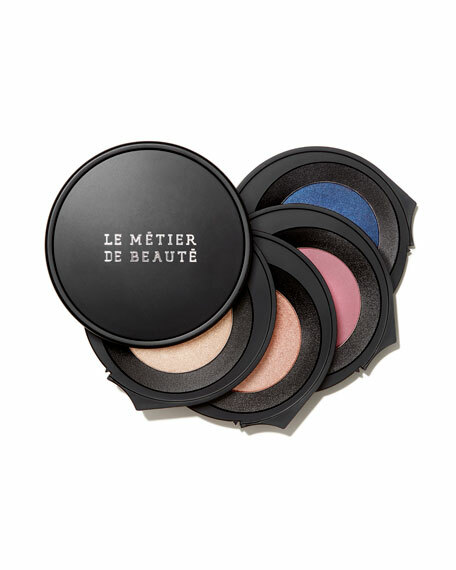 Each hue contains Le Métierde Beauté's favorite eyeshadow formula, beautiful shimmering, pigments unique for layeringtogether or separately. 'Tis the season to experiment with color! Le Métier de Beauté (which translates to "the craft of beauty") is known for its award-wining Peau Vierge Anti-Aging Complexe. For in-store inquiries, use sku #2496378.